Vehicles don’t sit in garages their entire lives. Food and beverages get spilled on the seats, dog hair sticks to the interior, muddy boots get thrown in the trunk, and bird droppings, insect damage, and rough weather bangs against the windows. Bottom line — cars take a beating. PermaPlate is the name people have trusted for over three decades for superior vehicle appearance protection. 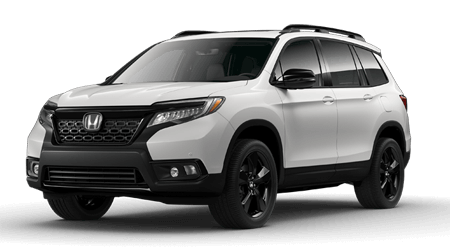 Available at Honda Morristown in Morristown, TN, PermaPlate product is specifically formulated to protect the interior and exterior of today’s vehicles. Having protection makes all the difference in keeping your new car looking new. PermaPlate Fiberguard® and Leatherguard® are specifically formulated to protect the interior of your vehicle from most stains, damaging UV rays, rips, tears and burns. PermaPlate Paintguard® provides industry-leading protector for the exterior surfaces of your vehicle from the harmful effects of environmental elements. Vehicles play an important role in our daily lives. They’re no longer simply a mode of transportation. They are a reflection of our lifestyle and a symbol of individuality. They hold both memories and promises. With a single, professional application of PermaPlate at Honda Morristown in Morristown, TN, the care and maintenance of your new vehicle has never been so simple! Accept no substitution. Insist on PermaPlate. Visit us today at 4190 W Andrew Johnson Hwy, Morristown, TN 37814 also serving customers from Knoxville. *This is a summary of some of the benefits available. See your actual limited warranty for specific details.